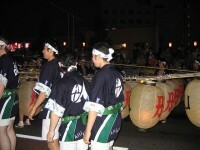 Although the majority of Japan’s festivals are held during summer, June has very few traditional matsuri. Compared to July or August, this month is quite poor from the point of view of festivals; but these few events are really enjoyable and interesting. The most important Japanese festivals in June take place in Toyko, Yokohama, Kyoto, Osaka, but smaller cities, such as Iwate or Hamamatsu give home to very popular events as well. Undoubtedly, the Takigi Noh festival from Kyoto is the most successful program of the month. If you happen to be in Japan this month, do not hesitate to visit one of these traditional Japanese festivals! It is the first festival of the month, held on 1-2 June, in Kyoto. The location of Takigi Noh is Heian Jingu Shrine, Okazaki District. Noh performances are presented in the darkness of the night, because torches have special significance here. The performers wear costumes and wooden masks. 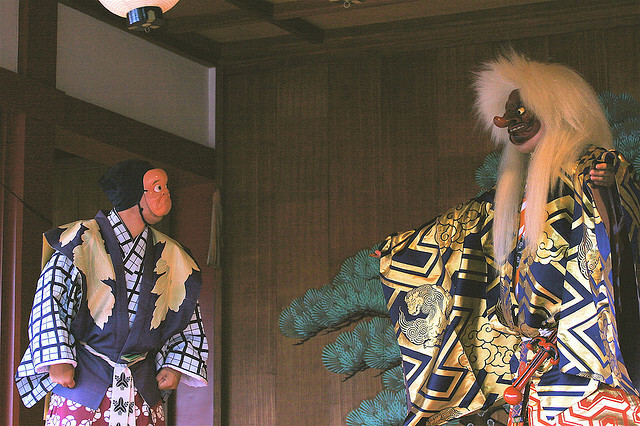 The costumes and their movements are the things which amaze the spectators, because the ‘actors’ do not utter a sound during these Noh performances. Takigi Noh had been very successful and popular festival in recent past, for many tourists from abroad come and enjoy this festival together with Japanese citizens. The tickets for the performance can be reserved in advance, but you can still enjoy the spectacle without reservation: tatami mats and some benches are usually unreserved. It is widely known that rice is the most important plant in Japan. This summer festival is related to taue (replanting rice seedlings). Though many festivals and events are related to rice in Japan, this one is considered to be the most important rice festival all around the country. Otaue Rice planting Festival is celebrated on 14th June, at Sumiyoshi Taisha Shrine, Osaka and it consists of several ancient rituals related to rice planting. This procedure even includes oxen, a very ‘rare’ animal in such large cities as Osaka. 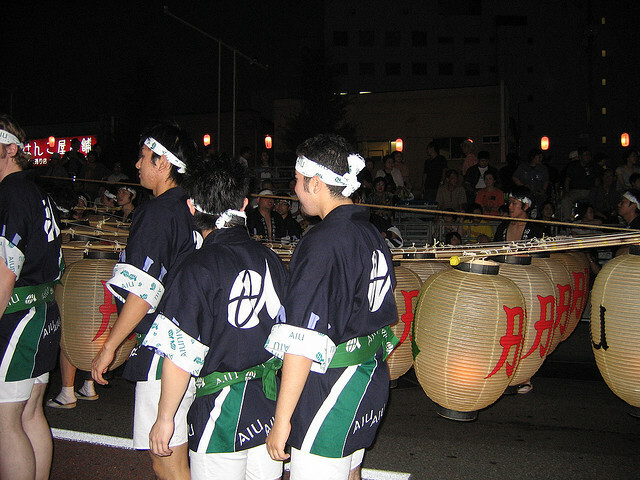 Traditional dances are inevitable on a matsuri: these dances are the acme of the festival. This festival is held in Tokyo, between 10 and 16 June and it is one of the most popular festivals of the capital. More than 300 people wear traditional and ancient costumes on these days, and they march through the city. Places such as Ginza or Tokyo Station are passed by the parade as well. 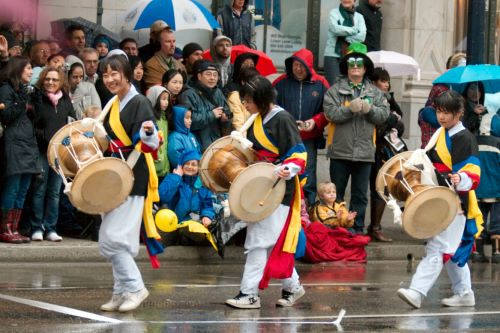 The length of the marching row sometimes reaches 600 meters, which is not surprising: portable shrines, flowers and large drums are carried by people as well. 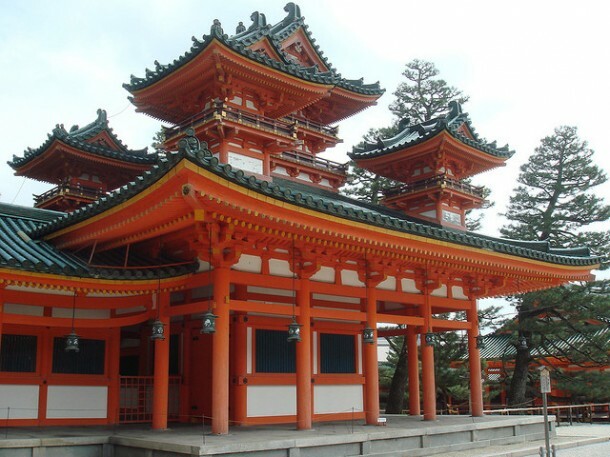 They depart from Hie Jinja Shrine at 8 o’clock in the morning, and they do not return here until the end of the day. If you are in Tokyo, don’t miss the sight of this amazing parade!